If you don't know what to cook for the holidays, or if you want to cook something special, why don't you try this recipe? 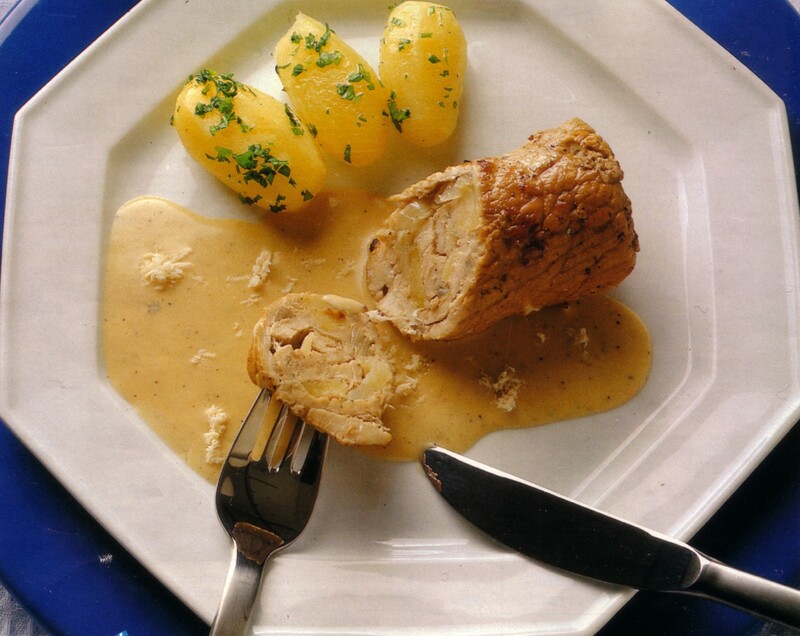 In German we call them "Meerrettich Rouladen"; you probably know the famous beef Rouladen, these ones are made with pork instead of beef. For the meat you would use very thin and sliced pork filet. Potatoes as a side dish are recommended but you can also enjoy them with pasta or "Bratkartoffeln". Happy Cooking! 1. Peel onions, cut them in halves and then into quarters; peel apple and cut it in small slices (don't use core). 2. Take the meat, put it on a cutting board, spice it with salt and pepper and spread half of the horseradish over each slice. Put on the apple and onion slices as well. 3. Roll the meat and with toothpicks make it stick together; fry them in the hot oil shortly all around; add broth and wine, cove rit with a lid, and let it broil for 1 1/2 hours. Take out the meat and keep it warm. 4. Add cream and starch to the fond, and bring it to a boil. Add remaining horseradish, spice it with salt, pepper, lemon juice, and sugar. Serve it with parsley potatoes (peeled and boiled, and parsley on top).